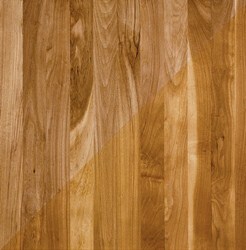 Color: Heartwood is mostly reddish brown; sapwood is generally pale white. Grain: Mostly closed, straight grain; fine, uniform texture. Coarser than European beach. Variations Within Species and Grades: Within Species And Grades: Only one species is native to the United States. Moderate to high color variation between boards.